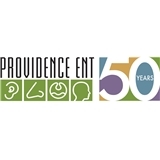 Providence ENT (Chester) - Book Appointment Online! If you or your children suffer from sinus problems, thyroid issues, hearing loss, chronic snoring, allergies or another condition of the head or neck, turn to Providence ENT for expert solutions. Our practice has proudly served Delaware County, Chester County and Main Line residents as a premier source for ear, nose and throat care for over five decades. You'll find the state-of-the-art equipment and techniques you need, and the unsurpassed dedication you deserve. We look forward to serving you. He was very attentive and asked several questions about my symptoms and seemed interested in my answers. He explained what he was doing and why he was doing it. Dr. Perloff was very professional and handled my issue with a diagnosis in a timely manner. Excellent visit. Dr. Briskin listened carefully, examined me thoroughly, and communicated his diagnosis and treatment plan in a clear and precise manner. I would not hesitate to return to him for any future ENT concerns. He is very thorough and caring.